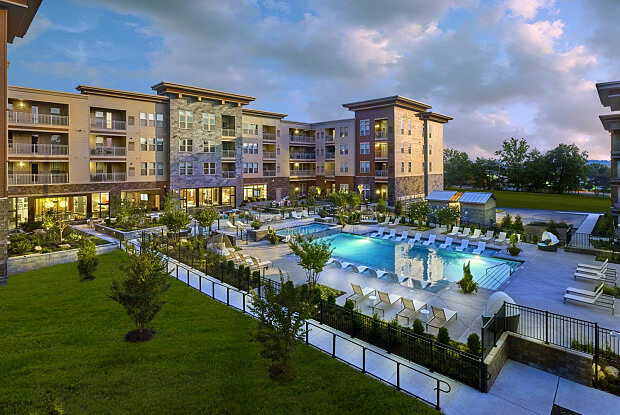 In the midst of the increasingly developed King of Prussia Town Center, the residence at Park Square offers a freeing atmosphere with its resort like amenities and oasis stlye landscaping. 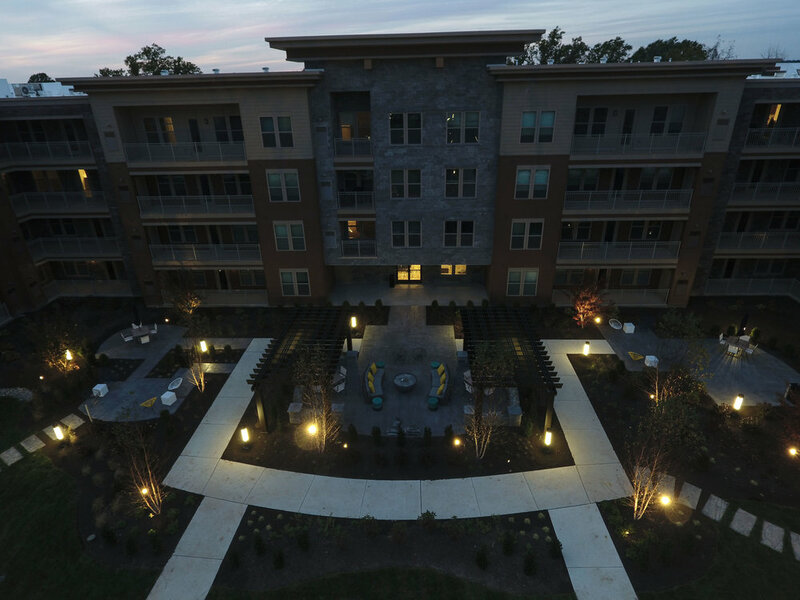 This 320-unit apartment complex consists of four buildings, facing a honey locust tree-lined central courtyard, with ample space for a variety of active and passive activities. 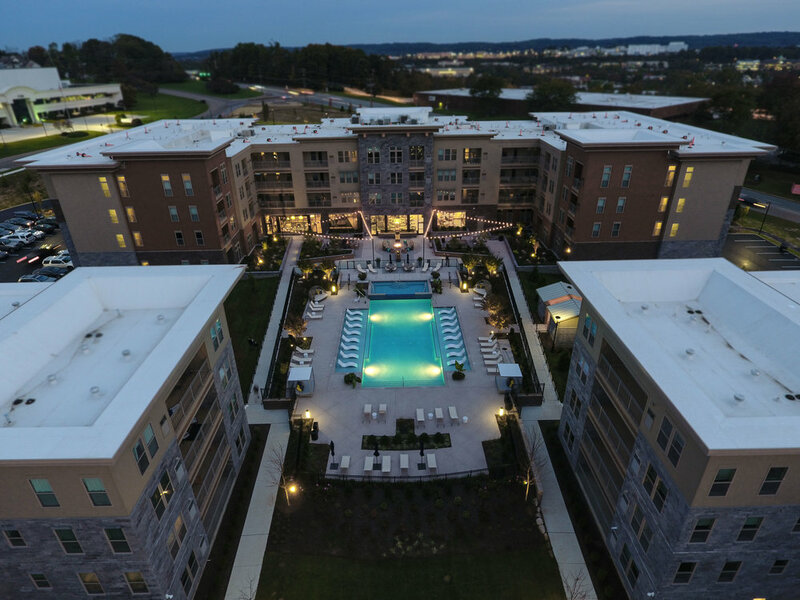 The 2,400SF pool and upper terrace area provide opportunity for socializing and community events with its integrated outdoor kitchen, open fire pits, central water feature, and lounge areas to foster a strong community. Drastic site elevation changes were used to our advantage to create different rooms on the site which help break up the size of this courtyard. Place-making lighting techniques such as string lighting and tree uplighting were utilized to create a sense of warmth and to bring the building scale down to the pedestrian level. 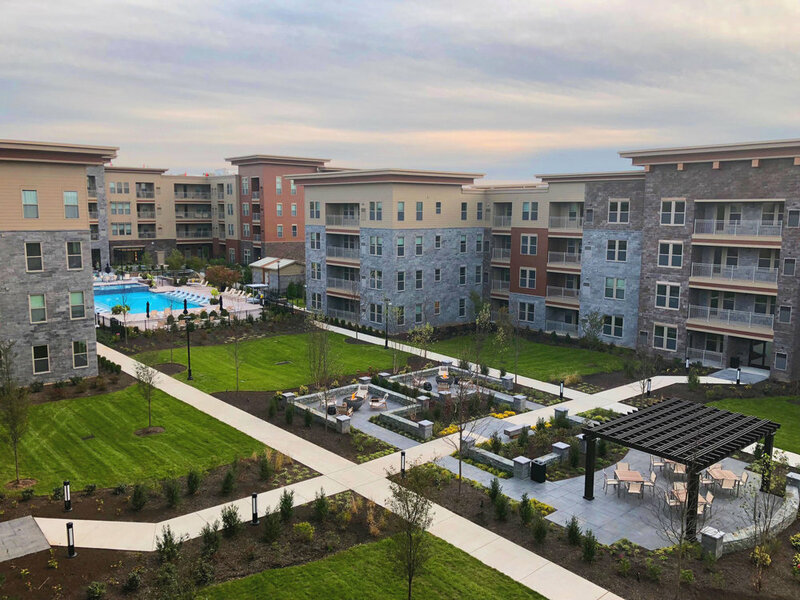 The 20-acre site also features a mile of paved walking trails that connects to it’s surroundings including downtown King of Prussia and Valley Forge Park.